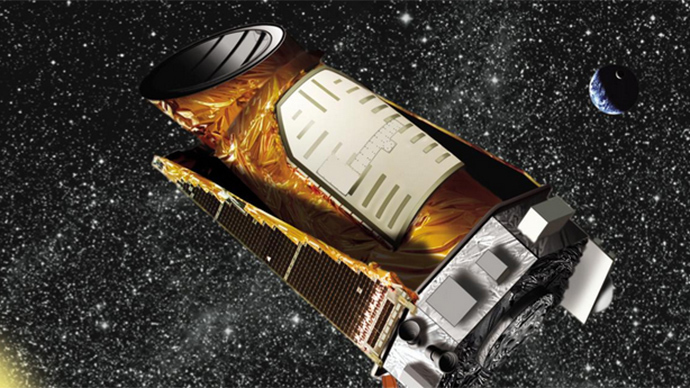 NASA’s Kepler telescope has its eye on three new potentially habitable planets. At a distance of 150 light years, the three “lukewarm” bodies are among the closest candidates for habitable life. The star they orbit is known m as EPIC201367065. It’s an M-class dwarf about half the mass and size of our own Sun. It’s a little colder too. But at a trillion-and-a-half kilometers away (930,000,000 miles) it makes the top 10 list of our closest presumably habitable systems. One of the three planets discovered is particularly exciting to scientists, but the rest of our gadgets are still to do their analyzing and the discovery is then to be handed over to the Hubble telescope for a more intricate look. "A thin atmosphere made of nitrogen and oxygen has allowed life to thrive on Earth. But nature is full of surprises. Many exoplanets discovered by the Kepler mission are enveloped by thick, hydrogen-rich atmospheres that are probably incompatible with life as we know it," Ian Crossfield of the University of Arizona, who lead the study, said of the January 6 discovery. "Most planets we have found to date are scorched. This system is the closest star with lukewarm transiting planets," Erik Petigura, who discovered the planets while analyzing data NASA provided to astronomers, added. It took several steps for the confirmation to take place. After Petigura analyzed the light curve data provided by NASA, the scientists set about feeding coordinates into some of the most advanced telescopes – in Chile, Hawaii and California. This allowed them to establish the host star’s radius, mass, temperature and age. What allowed the team to use the telescopes was the relatively close distance. One can say with certainty in these situations that a star’s brightness will give further clues to determining things like similarity to the chemical composition in Earth’s own atmosphere. From then on, one can make an educated guess if life is possible. Up next come the more advanced telescopes. The Hubble telescope will soon start establishing the molecular composition of the star’s atmosphere and that of the planets around it. “If these are warm – nearly Earth-size planets have puffy, hydrogen-rich atmospheres – Hubble will see the telltale signal,” Petigura said. The paper is reviewed in the Astrophysical Journal. The Kepler mission is NASA’s finest attempt yet to use cutting-edge technology for photographing and measuring light changes in distant worlds. This data is remarkable in its ability to reveal planetary secrets at distances we can barely imagine.